Was I Properly Served With a Summons and Complaint? 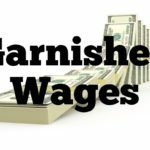 Were you surprised to learn that your bank account has been frozen or your wages have been garnisheed? 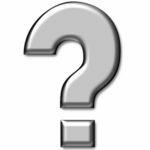 If your answer is yes, a debt collector likely has a default judgment against you from a lawsuit you had no idea had been filed. In debt collection lawsuits, most cases are won on default where the consumer never answered the complaint. Many consumers don’t answer because they never knew they had been sued. 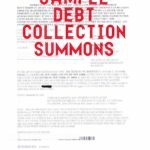 Most don’t know they’ve been sued because the debt collector never properly served them with copies of the summons and complaint. 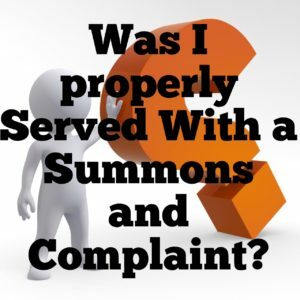 Nail and Mail – After at least two failed attempts at personal or suitable age and discretion service, the process server may post a copy of the summons and complaint to the door and mail a copy to your last known address. A default judgment can be reversed or “vacated” if the consumer can show the court that he or she has (1) a defense to the case (like “I don’t owe the money”, “I don’t owe that much money” or “I don’t know who the plaintiff is”); and (2) that he or she has a reasonable excuse for defaulting (like “I didn’t know I had been sued”). to vacate the default judgment”. If successful, the case will return to the beginning and the consumer will be given the chance to answer the complaint and mount a defense.